Cobra is definitely not a new name when it comes to golf equipment, but there has been quite a bit of new excitement coming from this company since it was acquired by Puma Golf last year. No longer under the Acushnet umbrella, it appears that Cobra is trying to reinvent itself as a modern and hip brand. Honestly, I’ve always associated Cobra with the exact opposite image, but that is mostly due to some of my friends and relatives. I’m looking forward to seeing where this new image and partnership goes. 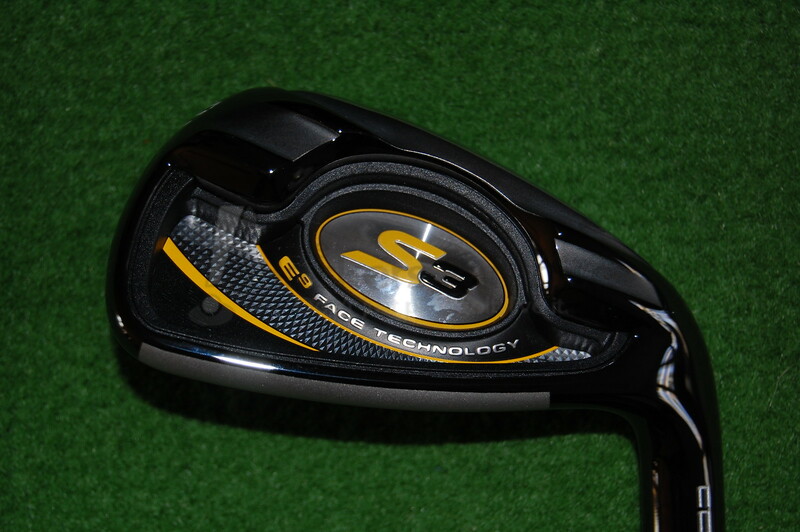 For 2011, Cobra has produced the next generation of their game improvement iron and named it the S3. Image aside, I came into this review looking for results more than anything. Most likely, these are going to be the flagship irons of the 2011 Cobra line, so I wanted to know how they stood up to the competition. Pulling this set of irons out of the box was quite exciting. I’d never had a set of Cobra anything in my possession, so I was looking forward to getting familiar with a new brand. At first glance, the S3’s are just plain mean looking. The heads are a two-toned color scheme with a silver face surrounded by a glossy, piano-black outer area. The contrast between the two colors is very pleasing to the eye, but the glossy black finish is what really stood out to me. It’s hotter than hot. The cavity is fairly deep and has the S3 badge placed in the center. One oddity, at least to this reviewer, is that Cobra elected to put the club number on the toe rather than the sole. Don’t get me wrong, it looks cool there, but is sort of annoying when you can’t always just glance at the top of your bag to pick a club. 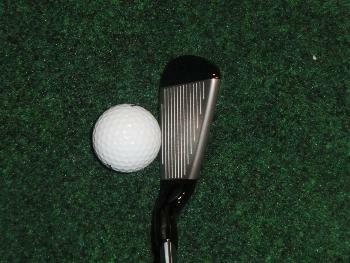 The top-line appears to be surprisingly thin for a distance or GI iron and there is moderate offset. The cavity itself is almost invisible from address, except for the longer irons, where it is a bit more apparent. The irons come stock with stepped Nippon 1030H shafts and are topped off with a yellow and black grip from Lamkin that is surprisingly tacky. In all, the S3’s are slathered in modern style and made me want to go hit some golf balls. E9 Face Technology and multi-material design combine to optimize all-around performance in each individual iron. According to Ryan Roach at Cobra Golf, “The S3 irons are about better performance through technology. Our new E9 Face Technology provides the distance, feel, and forgiveness golfers want from every one of their irons. E9 Face Technology – A new, advanced system creates a larger Sweet Zone for increased distance, accuracy, and forgiveness. Multi-material construction – A new hidden internal polymer topline and full cavity TPU (thermoplastic urethane) combine to optimize weight distribution and dampen vibration for superior feel and distance. If you’re looking at a set of irons like the S3’s, you’re probably expecting them to be high launching, forgiving and long. At least, that’s what I was expecting and I’m pleased to report that they didn’t disappoint in any of these categories. The weighting of the head comes together with the shaft to produce a high launching, penetrating ball flight that I liked very much. They were definitely long as well. I expected them to be, considering the strong lofts, and a little extra distance is always welcome in my bag. I found that all of the irons were usable, which to me was pretty cool. I’ve never carried a 4 iron, and I haven’t been too successful with a 5 iron at times in the past. The S3 long irons were pretty easy to hit and offered a nice ball flight that started out with a middle trajectory and climbed quickly. I found the 5 iron to be the easier of the two to hit, but both were definitely usable for my game. The S3’s e9 technology is very interesting in that the weighting on the short, middle, and long irons has been uniquely altered to best mitigate the typical golfer’s miss for each type of iron. I found ample forgiveness throughout the set, especially out on the toe with the long and middle irons. This is a normal miss for me and I was happy to see that distance losses were not severe. I was also pleased to see that the addition of forgiveness didn’t seem to affect the feedback that the clubs offered. I was able to easily tell when I missed out on the toe, which again, is my most common miss. One negative I noticed when I was testing in temperatures around 50° F was that some of those toe shots could be a bit harsh on the hands. I’ve noticed this same feeling in many clubs and think that, many times, the temperature has more to do with it than the clubs. Nonetheless, it was still there. One important note that I’d like to make is sort of an obvious one, but it should be said. If you’re going to buy these irons, or any for that matter, take the time to get them fit to your swing. Cobra put a sticker right on one of the clubs that states they are very hard to bend after leaving the factory and doing so will void any warranties they may have come with. There is no good reason not to take the time to have these checked out on a lie board before going home with them. Also, there are custom shafts available for those of you who are interested. I found the Nippon shafts to be very good for my needs, but there are many folks out there looking for specific characteristics that the 1030H shafts might not offer. I won’t lecture any more, but really, get fit for these so you don’t have to worry about it later. I liked these irons quite a bit. I found them to perform as advertised in that they can put a golf ball out there a very long way and have ample forgiveness. If you are iron shopping I would definitely recommend grabbing an S3 off the rack and giving it some swings. The S3’s retail for $599.99 with the Nippon 1030H steel shafts. You can purchase these irons at retailers nationwide including Blind9Golf.com. For more information, head on over to Cobra Golf’s website at www.cobragolf.com. Very nice review Hawk. From listening to you and golf4life its easy to see that this is a great set of irons that flat our performs. Nice review Hawk. I really liked the looks of these irons when they came out. Ill be honest I’ve definitely pushed Cobra aside in the past but when I do go looking for a new set of irons, these will be on the try list. Wonderful review Hawk!!! From what I have heard from your testing of these irons you have made me interested and wanting to check them out very soon. I too see a change in what Cobra is bringing to the table and I like what I see. 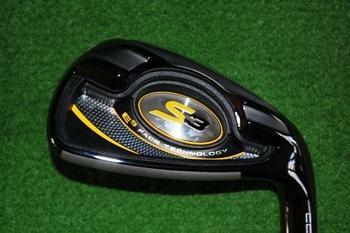 I think not only one but a few forums members might be picking these irons up in the near future. Well done buddy! I like the way you write your reviews and you cover all the bases well. This is a very sharp looking iron in my opinion and one that will most likely top the sales chart for the last few iron models for Cobra Golf. I will definitely give these a test spin and put them in my top two to buy list! Very nice review Hawk! Sounds like these irons were a hit. I cant wait to hit them at the outing! Nicely done Hawk. In getting to play these myself, I find myself agreeing with your review in practically every way. These clubs want to launch the ball high and far. Great review Ryan! These definitely have got my attention, and I’m looking forward to trying them out in May! interesting that Cobra even announced on their packaging that these are hard to bend. I like the positioning of the numbers for the clubs as well…..unique to say the least. Good review Hawkster! Awesome review, I too, think the colour scheme is fantastic. Nice review! Another iron set I must try. Great review hawk. Like you I’ve never owned anything Cobra, but these really look and sound solid. Nice review Hawk, glad they performed for you, and hopefully they sell well for Cobra. I really enjoyed the review Hawk, excellent work! At $599 these are definitely a great option for someone not wanting to spend a month’s mortgage on their new set of irons. 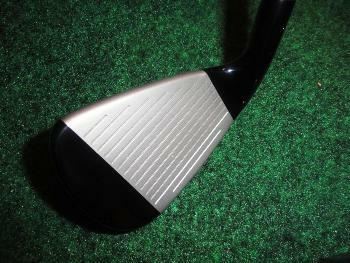 My first set of Irons was the Cobra II, great irons. Glad to see Cobra has gone back to the basics. Nice looking irons. Just bought me a set yesterday and am headed out for a 218 tee time today to try them out. Can’t wait. Your review plus a couple swings in the shop helped me make my decision. Thanks. Can you compare the Cobra S3’s Irons/ hybrids to the Callaway Diable Edge Irons/ hybrids? Sorry Tom, I only hit the DE’s for a short time and it was about a year ago. Just received my new Cobra S3’s on Tuesday and then it started pouring rain which has since turned to snow. Crossing my fingers that mother-nature changes her mind and I can play this weekend. Nice review! I tested these irons today, and I really liked them. Good review. I got my set 2 weeks ago. Then had them matched up for length and lie to my old clubs, also put mid-sized grips on them too. Definitly better distance. The Cobras were 2 degrees lower in loft vs my Callaway X-18’s. I really enjoy the feel and when I get a flush impcat….wow..I’m easily 15-25yards longer with these clubs, depending on the quality of impact. 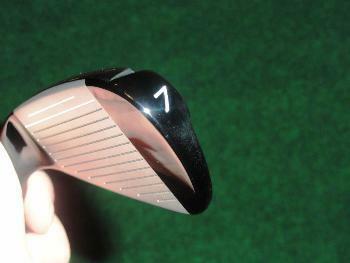 My set included the 3 and 4 hybrids, and I like the feel, especially in the rough, clubs slide right through the grass. I recently purchased a set of S3 Irons and noticed that they are about 1/4 -1/2 and inch longer than standard which makes them 1/2 -1 degree more up right, has anybody else noticed this??? – is there any effects from this??? JeffB: The SILVER set is the S3 Max. Those are super game-improvements. The S3 is just game-improvement. It matters if there is a difference from your old irons..When I got my S-3’s..I had my pro measure my old clubs, and had each new S3 adjusted to the length and lie of my old clubs..the only difference is that my S3’s were 2 degrees loft lower than my Callaway X-18…still love my S3’s and wouldnt trade them for anything..